Happy Wednesday! 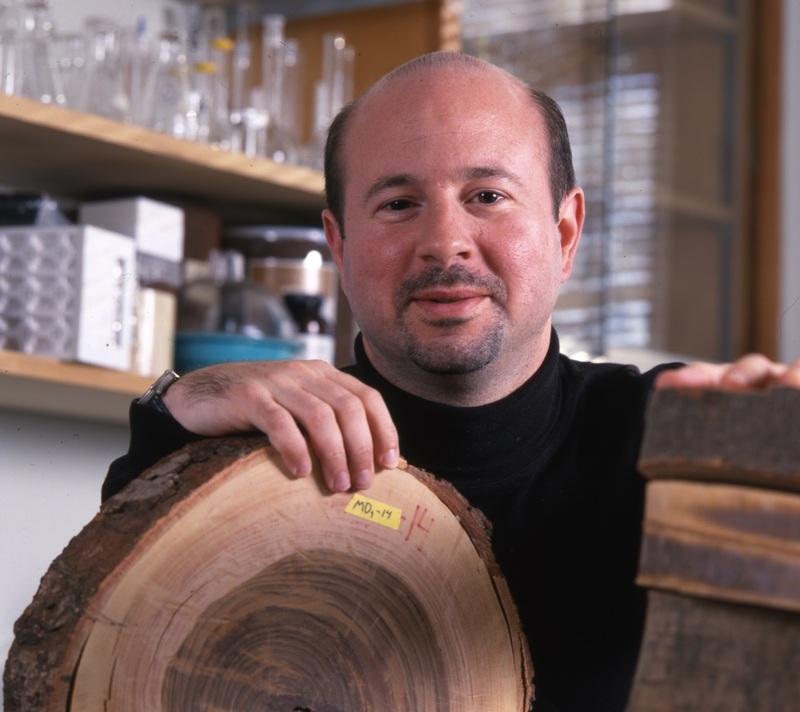 This week, we’re taking a closer look at climate scientist Michael Mann. 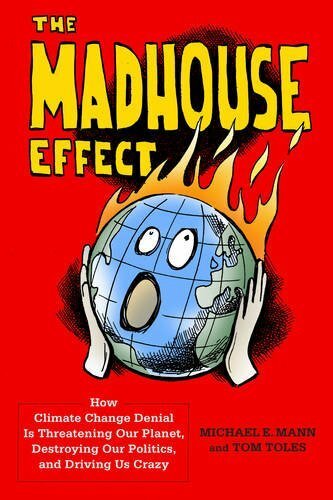 Dr. Mann is a climatologist and the head of Penn State’s Earth System Science Center. His work on the IPCC’s “Third Scientific Assessment Report” on climate change was cited as an important contribution to the IPCC and Al Gore winning the 2007 Nobel Peace Prize. 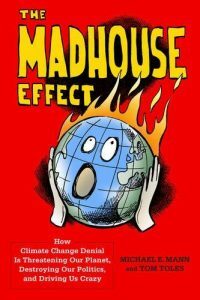 This would be enough acclaim to thrust Dr. Mann into the limelight … but along with the notoriety came the attacks on his work – not by fellow scientists, but by ‘climate change deniers’ who sought to undermine his credibility. 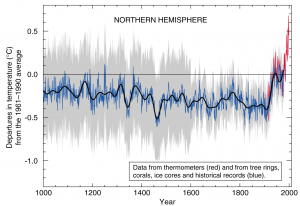 The historical account of climate change over the millennia that Dr. Mann’s research uncovered, when applied to a linear graph, produces what has come to be called “The Hockey Stick”. 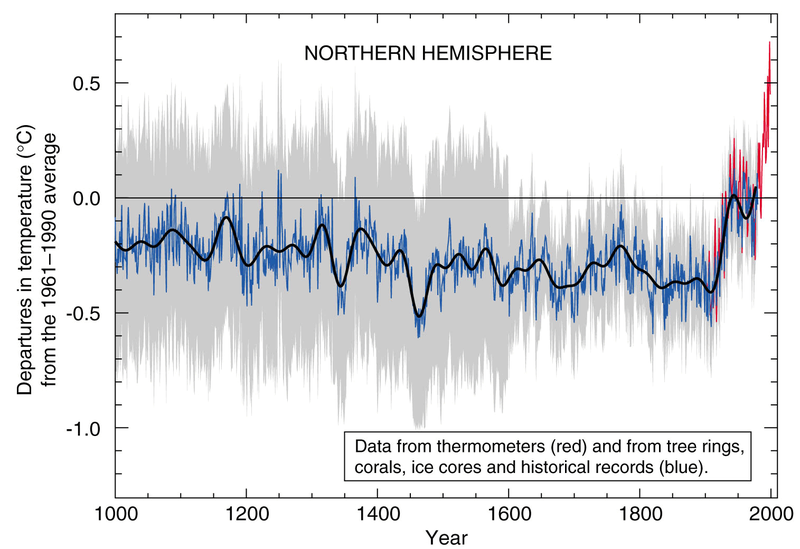 It show a fairly constant average temperature for thousands of years, which changes to a dramatic upward spike near the end of the 19th Century, which coincides with the birth of the Industrial Revolution when the amount of carbon generated by coal and oil combustion also spiked dramatically upwards. Scientists from across the scientific disciplines, looking at a wide range of date (everything from tree rings and ice core samples to historical records of English garden diaries!) found the same dramatic uptick in the late 19th Century. His work has been attacked by opponents in the media and in the courts … and these attacks have all been unsuccessful in challenging any of his findings. Many people, having weathered these challenges to their integrity, might choose to declare victory and retire from the field of battle. Dr. Mann chose to “speak out about the very real implications of our research” and has written and lectured around the world on both the nature of his research and the political opposition it (and he) have faced. He’s an active online presence in social media and has conducted “Ask Me Anything” sessions on Reddit. Let us know if you’d like to bring Michael Mann to speak to your organization, campus, or conference!